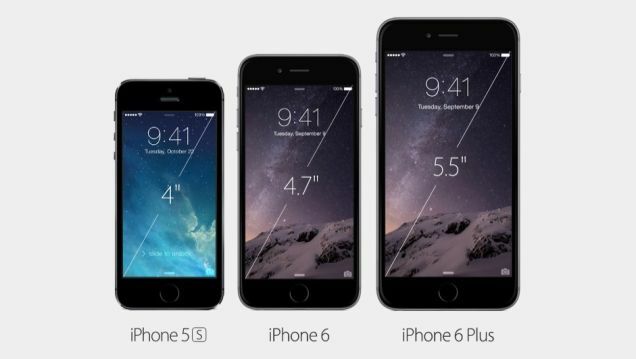 If you’ve not heard yet, Apple just announced their new flagship phone- the iPhone 6, but also the iPhone 6 Plus. From the start, it is safe to assume that it has a great looking design, incredible guts and a new variety of great features that just about anyone would enjoy. This post will be somehow of an overall review of the iPhone 6. More in-depth reviews of certain features will be here shortly as well, so stick around and get to learn more about this great device. When it comes down to the design of the iPhone 6, we can see that it is bigger, but thinn er at the same time. Now, the phone is placed in an anodized aluminium case, that has a better display and glass that has been strengthened with ion. Together with this, as earlier predicted, the sleep wake button has been moved to the side of the phone, thus making it easier for just about anyone to reach. Leaving these factors aside, one of the most important design changes to keep in mind is the fact that there are now two sizes, the 4.7 inch and the 5.5 inch versions which are mainly similar on the inside and have quite a difference in size on the outside. It can safely be said that now the iPhone looks quite similar when compared to the iPad Air, although it has kept its sense of uniqueness and overall great looks that have made Apple and Jonathan Ive so famous when it comes down to the actual design of their products. Like now, the device will be available in 3 colours (black, silver and gold) which should be enough to satisfy the design taste of anyone who is considering to purchase an iPhone 6 or iPhone 6 Plus in the upcoming months. We’re all happy to see that the iPhone 6 has also received an updated version of the Retina display known by the name of Retina HD which packs around 38% more pixels in the 4.7 inch screen which is simply great. One thing that I cannot stop myself from saying is that the screen quality is so high that watching movies, playing games or simply browsing the phone can feel like a once-in-a-lifetime experience. The iPhone 6 Plus packs even more pixels, especially due to the fact that it is also a larger phone, so the viewing experience should be even better! Many already consider it one of the best on the market so far. As stated in an article published a bit ago, the iPhone 6 features the new A8 chip which packs more processing power. Apple stated that it is 25% faster and also 50% more efficient when compared to its predecessor which is great news from all the points of view. Alongside the A8 chip, we can also get to see something known by the name of the M8 chip which is practically the motion processor of the iPhone 6 which has also received an upgrade. New sensors have also been added which will work together towards providing a better overall experience for any iPhone 6 owner. More information referring to the great new specs that the iPhone 6 features can be found right here. Yes, this is an extremely important thing to mention as Apple’s mobile devices have always been known for their week battery life. Well, this shouldn’t be an issue any further, especially due to the fact that Apple showed some tests which indicate that battery levels are significantly better or similar along many of the phone’s uses, which include better talk, LTE browsing, music, video and gaming time. Let’s hope that the improvement will be noticeable in real life as well and that once somebody does buy an iPhone 6 that they won’t need to charge it two times a day or even on a daily basis. From what we’ve seen so far, it seems like the iPhone 6 and iPhone 6 Plus will actually drop the 32 GBs versions and come with 16 GB, 64 GB and 128 GB. Certain reports have mentioned that the iPhone 6 may actually be $100 more expensive, but it just didn’t seem like it fitted Apple’s favourite pattern. With this in mind, the 16 GB version of the iPhone 6 starts at $199 whereas the 16 GB version of the iPhone 6 Plus starts at $299. All in all, I honestly see the iPhone 6 as Apple’s best attempt to create a revolutionary phone. It is by far one of the most revolutionary updates that the iPhone line has received in a long time and based on the information that we have so far, it looks like a great device from all the points of view. Of course, we’ll get the chance to see for sure once we actually get to experience a hands-on with Apple’s new iPhone 6. With a great design, awesome new features and exciting guts, more than 10 million devices are expected to be sold in a couple of days. The device will be available in stores from all around the world soon and chances are that most countries may get to see it no later than by the end of this calendar year. Will you be one of the first people to actually get your hands on this exciting new smartphone?